I remember a special dish called “Dong gua zhong” winter-melon pot, which is very popular in Kan Tong South of China. Nearly 30 years ago, I visited this place when it was during a hot and damp season. Local people would eat winter-melon pot all the time to balance the body against the hot and damp weather. After researching the diet therapy of the winter melon, I realised that it has a great benefit for the body to clear heat and dampness (odema). This is why it is a very popular dish during this season. Winter melon is a common food in Chinese dishes, but it is a seasonal vegetable. Odema (fluid retention) is a very popular case in our clinic, odema is fluid retention which can be stuck in different parts of the body such as swelling of the ankle, legs, knees, wrist and hand, eyelid and face. 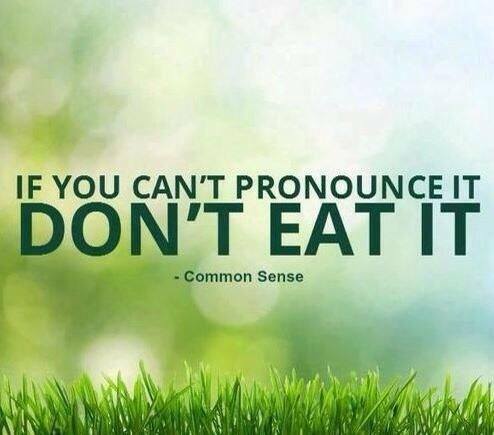 It can also be throughout the entire body. Odema can stay all the time, and others can come and go, depending on the cause. Odema can be both a symptom or disease of the internal organs. In early stage of odema, many people do not pay much attention to it, and often do not treat it. However, it is the internal organs telling the body that something is not right, thus it is important for it to be checked. Long term or serious odema can lead to kidney disease, high blood pressure, diabetes, obesity and other disorders in associated organs. Chinese medicine considers odema whether it be a lot of fluid retention or a small amount, it is a result of internal organ disorder. Most odema’s are associated with the lung, kidney, and spleen disorders or weakness. If the odema is caused by lung weakness the body will have the following signs or symptoms; shiny and pale skin, puffy face, short of breath, lack of energy, sluggish bowel movement, less urination, tightness in the chest. Symptoms associated kidney weakness may be; puffiness around the knee and ankle with pain, lower back pain, early waking, lack of energy, lowered libido, impotence, heavy body. Symptoms spleen weakness may be; fullness and bloating in the abdomen area, heavy limbs, poor appetite, sluggish bowel movement, lack of energy, lethargic, puffy legs, gain in weight or hard to loose weight. When patients come into my clinic they will be diagnosed through Traditional Chinese Medicine diagnosis through tongue and pulse diagnosis, along with current signs or symptoms to help identify what organs are not functioning appropriately. I suggest that while you are undergoing treatment you can eat certain foods to help the body improve the body’s metabolism to rid the retained fluid. Winter-melon is one of these foods. In most countries you are able to buy winter melon when it is available from the Chinese market. One ancient Chinese medicine text books “ Ben cao jing ji zhu” mentions ‘winter-melon tastes mildly sweet, having cooling characteristics. Works on the lung, urinary bladder and large intestine, and has the function of clearing and removing the heat and increasing urination’. Another book called “ Traditional Chinese medical nutrition text book” also mentions that winter-melon ‘contains less sugar and has effects by clearing fluid and cholesterol”. Winter-melon, especially winter melon skin is a popular Chinese herb which is used for medicinal purposes to help clear odema and improve metabolism. I suggest that if you have the types of odema mentioned above, while you are undergoing treatment that you can eat winter-melon, dried shrimp stir fry or winter-melon, ginger soup. Please see the recipe below. As I mentioned above winter-melon is suitable for hot and damp seasons. Usually when people who live in this weather they are easily affected by pathogenic heat and dampness and may have the following symptoms; puffy knees, heavy body, tightness in the chest, lack of energy, body heat, bloating in the stomach area, sluggish bowel movement, yellow and scant urination. If you have winter-melon soup for hot and damp seasons, you do not need to add ginger into the soup. Stir fry all ingredients with oil. You can add one cup of water to avoid the ingredients from drying out. Stir fry on a low heat for ten minutes. Add salt to taste (you may not need it as the dried shrimp is salty). Effects: Tonify kidneys; improve metabolism; clear fluid retention from lower part of the body. 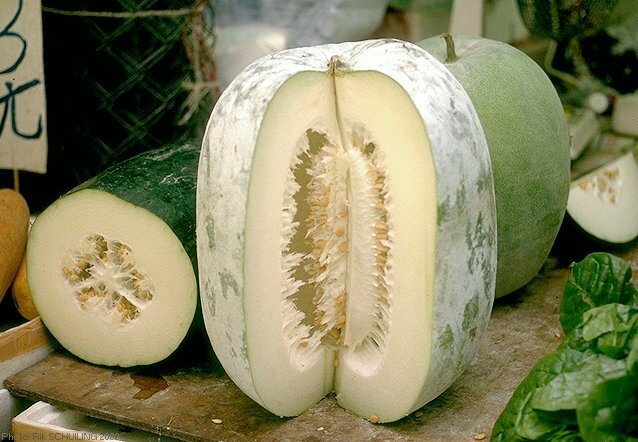 When cooking with winter-melon, remove the skin and seeds. You can eat these dishes 2 or 3 times a week. i) If you are unsure of your body constitution, please see your experienced TCM practitioner for further information. Winter-melon is very easy to grow, just like green beans and cucumber. So if you like gardening, try to grow some winter-melon in your garden.